Thrash metal genre pioneers MEGADETH will kick off the New Year with the release of their 15th studio album Dystopia on Universal Music / Tradecraft / T-Boy Records on January 22, 2016. With musical architect and band visionary Dave Mustaine at the helm, Dystopia was recorded in Nashville, TN, and mixed by Josh Wilbur (Lamb of God, Gojira, Avenged Sevenfold). The rest of the MEGADETH lineup is comprised of David "Junior" Ellefson on bass, new member Kiko Loureiro (formerly of Angra) on guitar, and drummer Chris Adler, who took time away from Lamb of God to record Dystopia. The result marks a true return to form, adding new blood and injecting a new burst of creative energy into the new album. 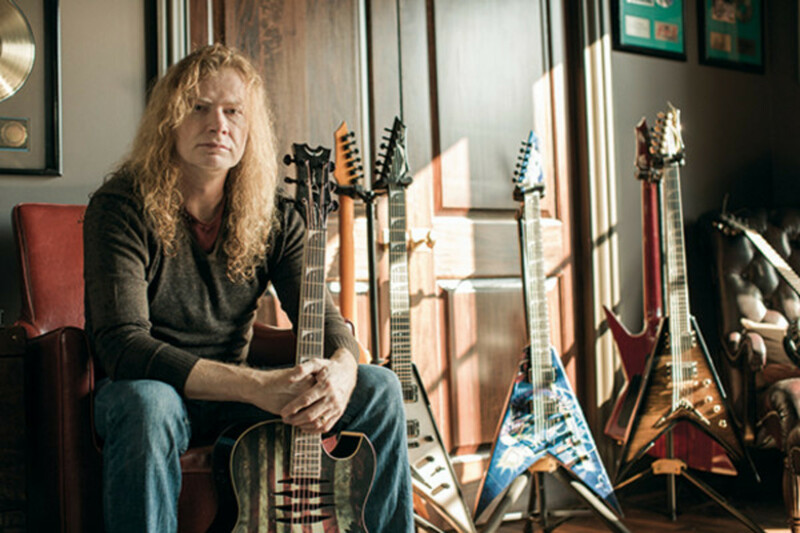 "There's an excitement right now that I haven't felt for a really long time," exclaims Dave Mustaine. Featuring 11 brand new tracks, Dystopia will be released on both CD and LP, as well as digitally. “Fatal Illusion” is the first track released from the album, listen here. Dystopia weaves together Dave Mustaine’s intricate and unique songwriting style, trademark leads and lightning riffs with harmonious precision, paying homage to MEGADETH’s influential roots while continuing to break new and heavy ground. MEGADETH burst onto the thirty years ago, virtually inventing a genre with their debut album Killing Is My Business And Business Is Good! (recently recoognized by VH1 as the Greatest Thrash Metal Debut Album of All Time). sold more than 38 million albums worldwide, earning numerous accolades including 11 Grammy® nominations, scoring five consecutive platinum albums including 1992’s two-million-selling Countdown to Extinction. Megadeth will be bringing the thrash downunder this October. Please see below for dates and venues.